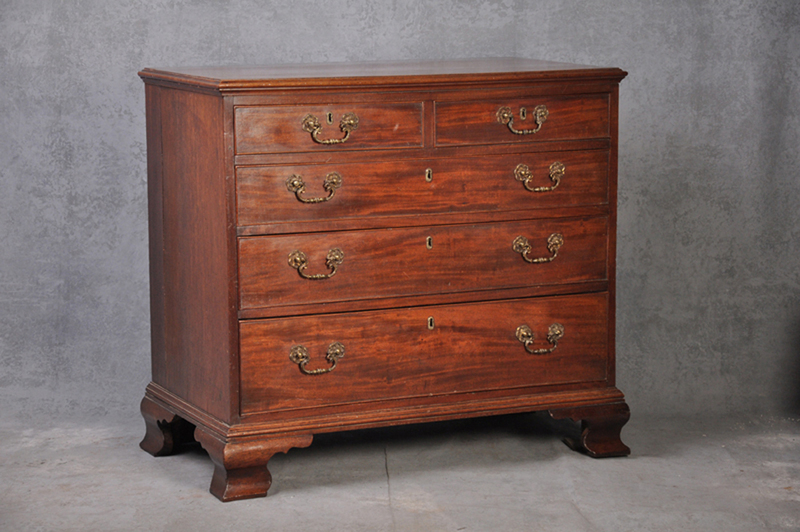 A Fine Quality Chippendale period chest of drawers of superb colour. 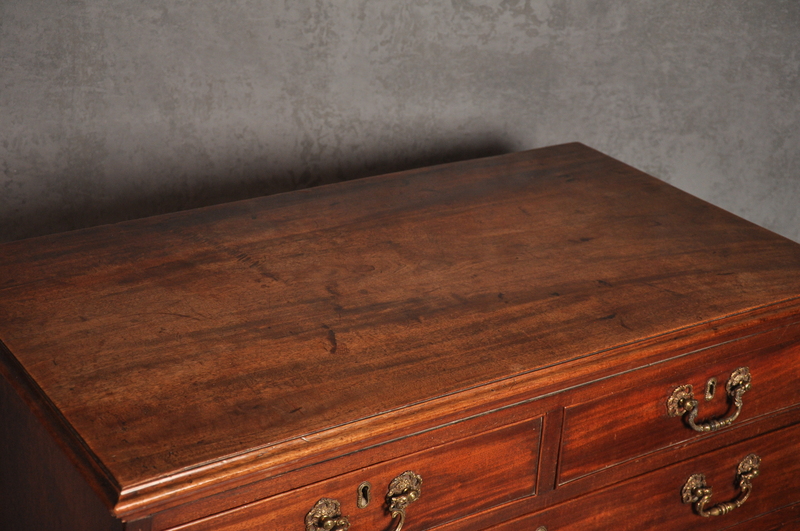 The one piece veneered top above two short and three long drawers standing on Ogee bracket feet ,the outstanding original handles are of the very best quality. The locks are also original. 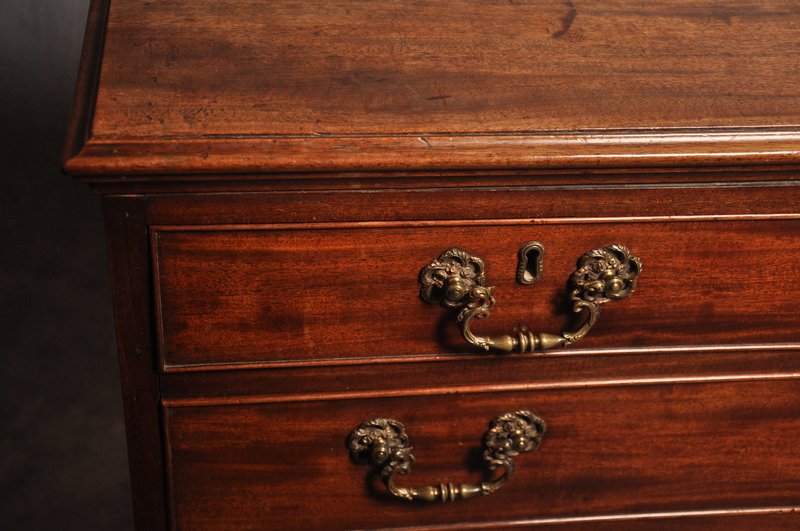 There is a signature on the underneath of the chest we believe to have been done when the chest was made , probably by the cabinet maker.